Israeli occupation forces (IOF) on Saturday evening broke into a Palestinian house in the Old City of al-Khalil in the southern West Bank. 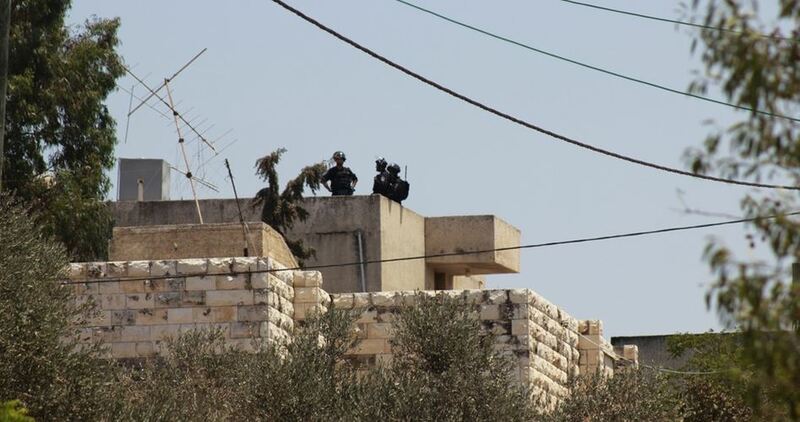 The PIC reporter said that a group of IOF soldiers stormed the home of Zahidah family, took its rooftop and banned the family from leaving the house. Moreover, IOF troopers threatened the family with killing and shooting as they protested at the Israeli incursion. Palestinian grassroots activist Wael al-Faqeeh, a coordinator at the Tanweer Forum in Nablus who frequently works with international solidarity activists, was seized in the early morning hours of Thursday, 28 June 2018 by Israeli occupation forces. Al-Faqeeh is the latest in a series of popular resistance organizers to be targeted by the Israeli occupation for arrest and imprisonment. struggle against settlements and Israeli occupation and colonization. Recently, he has been working with Tanweer to support local women’s cooperatives growing za’atar in the villages around Nablus, helping to support land cultivation by Palestinians and supporting women’s economic independence. He was reportedly taken to Megiddo prison after being seized from his home in a night raid. This is the fourth time he has been arrested; he has spent several years in Israeli prison over multiple arrests and was released for the last time in February 2017 after serving a sentence of over one year. Many of his friends and comrades around the world have shared their outrage on social media about his arrest and are demanding his immediate release. Several of his friends have also expressed that Wael has been by the bedside of his best friend, who is receiving treatment for cancer, and that this arrest is also an attack on his family and friends who rely on his support and involvement. In Britain, members of the Public and Commercial Services Union went out on Whitehall to demand the freedom of Wael al-Faqeeh, and others are organizing internationally to build solidarity for his release. 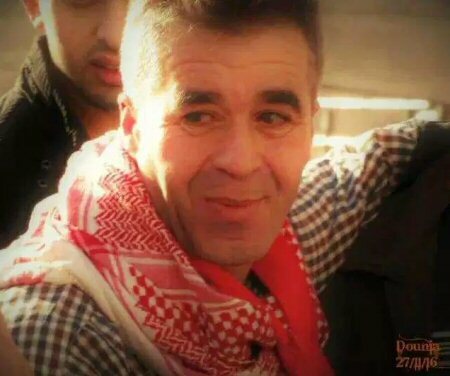 “Samidoun Palestinian Prisoner Solidarity Network demands the immediate release of Wael al-Faqeeh. His arrest comes amid the ongoing targeting of grassroots Palestinian organizers defending the land and confronting colonization, from the repeatedly renewed administrative detention of Abdel-Razzaq Farraj of the Union of Agricultural Work Committees to the imprisonment of Ahed Tamimi, Nariman Tamimi and almost 20 of their family members for organizing to defend the land and people of Nabi Saleh from Israeli occupation. Israeli soldiers abducted, on Friday at dawn, three young Palestinian near the northern West Bank city of Nablus, and one in Hebron, in the southern part of the West Bank. 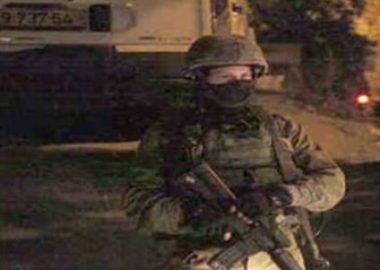 The Palestinian Prisoners’ Society (PPS) said the soldiers abducted three young men, from the central West Bank governorate of Ramallah, after stopping them at Za’tara military roadblock, south of Nablus. The abducted Palestinians were interrogated at the military roadblock, before the soldiers abducted them. They have been identified as Hakim Shahwan, Ahmad Sheikh Qassem and Mohammad Hassouna. In addition, the soldiers abducted a former political prisoner, identified as Sami Saber Abu Sneina, 20, after invading and searching his home in Wad al-Harya area in Hebron city. The soldiers also invaded and ransacked the home of Dr. Adnan Abu Tabbana, in Wad al-Harya, in addition to the home of Yousef Rajab al-Haimouni, in Abu Kteila area.